Welcome to the Ringside Toe 2 Toe podcast, an online offering from Sky Sports bringing you the latest news and views from the world of boxing. Toe 2 Toe is available every week on iTunes and skysports.com. This week, Anna Woolhouse is joined by Spencer Fearon and special guest Richard Riakporhe. We have another packed line-up and you can download the podcast here. 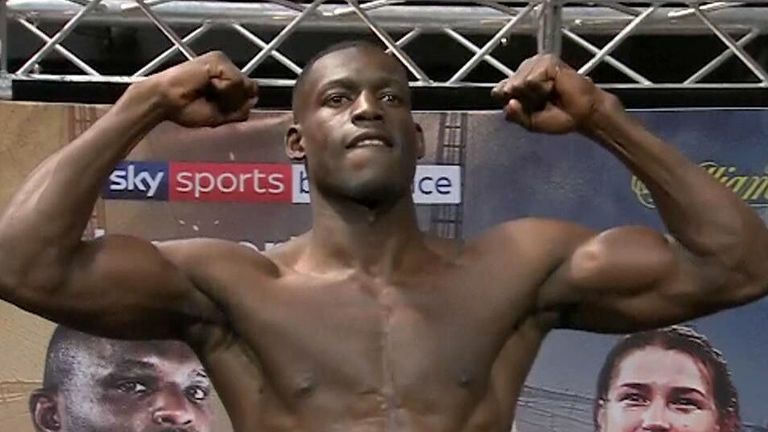 Richard Riakporhe discusses his amazing route into boxing and how the sport turned his life around. Kell Brook insists he is buzzing under his new trainer and has found new motivation. Ted Cheeseman believes Anthony Fowler’s team will not be in a rush to make a fight against him. Joe Joyce hopes to confirm a fight with Gerald Washington and reveals what shape Tyson Fury is in at Big Bear. US Round-up Michelle Joy Phelps brings us all the latest from across the pond including Canelo’s team targeting Jermall Charlo.